Hailed as “accomplished in mechanism and style” (Buenos Aires Herald), Jeremías is a violinist building an intriguing musical life, with significant accomplishments that began in his home country of Argentina, and have spread to the US, Europe, and Asia. A graduate from The Juilliard School, he has been awarded First Prize at the Argentinian Hebrew Foundation Competition and performed Mendelssohn Concerto in several venues in Buenos Aires with the Teatro San Martín Youth National Symphony, and has also soloed with the Córdoba National University Symphony and the New York Classical Players; he has won the 2013-2014 New England Conservatory Honors Ensemble Competition in two consecutive years as a member of the “Gioviale Quartet” and has performed with his quartet in collaboration with the acclaimed Borromeo Quartet, in addition to quartet recitals in Jordan Hall. While in New York, Jeremías has played at National Sawdust with Miranda Cuckson, and is also a member of the New York-based Frisson Ensemble, a nine-people mixed chamber music group that performs in several chamber music series throughout the US and was recently featured in NPR’s Performance Today. He has also performed in numerous tours with the Orpheus Chamber Orchestra at Carnegie Hall, at the Dresden Frauenkirche in Germany with appearances on MediciTV, as well as at the Roy Thomson Hall in Toronto, Canada, among many other venues throughout the US; serving as principal second violinist in several occasions. 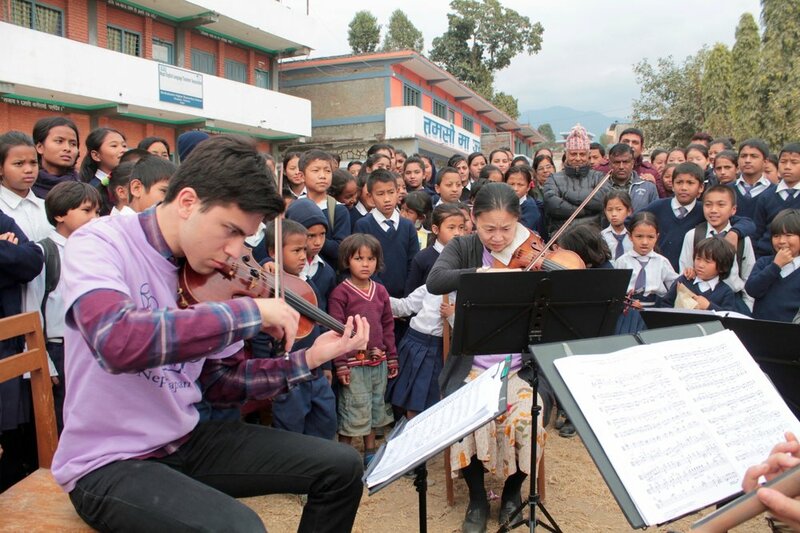 Jeremías’ recent engagements include a tour of Nepal and Japan as part of the “Music Sharing” International Community Engagement Program where he performed in a string quartet with acclaimed violinist Midori at the Oji Hall in Tokyo, Phoenix Hall in Osaka, United Nations in Kathmandu, as well as in multiple refugee camps, shelters, and areas affected by the earthquake throughout Nepal. Most recently, he performed at the Music@Menlo Chamber Music Festival Winter Residency, performing at several venues around Silicon Valley, including Google, Tesla, SRI, among others. Jeremías has played as concertmaster of the New York Classical Players with venues in New York and New Jersey, as well as serving as concertmaster of the “Ensamble Invasión” in Buenos Aires, Argentina. 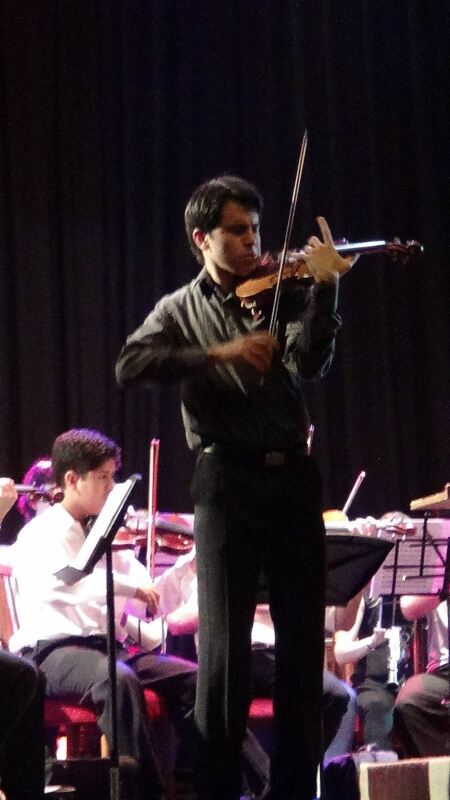 Jeremías has recently soloed on tour with the New York Classical Players through Arkansas. Currently, he is playing in the violin section of the Pittsburgh Symphony for the 2018-2019 season . Jeremías has attended several summer programs; most recently, the Music at Menlo Chamber Music Festival: International Program; as well as the Aspen Music Festival where he collaborated in chamber music performances with Robert Chen and Edgar Meyer, and was assistant principal at the Aspen Chamber Orchestra. He has also attended the Perlman Music Program, Taos School of Music, Kneisel Hall Chamber Music Festival, New York String Seminar Orchestra and the Schleswig-Holstein Music Festival, with which he toured different halls in Europe including Konzerthaus in Berlin and other halls in Krakow, Béla Bártok National Hall in Budapest, Smetana Hall in Prague, collaborating with Cristoph Eschenbach and Ivan Fischer. Jeremías also enjoys playing Tango, and regularly performs with the Pedro Giraudo Tango Quartet -winners of the 2018 Latin Grammy for “Best Tango Album”- and with the JP Jofre Tango Quintet at venues including Blue Note Jazz Club and the Museo del Barrio in New York, as well as throughout the US, and most recently a tour in Puerto Rico. Jeremías has had masterclasses and coachings with Paul Biss, Ronald Copes, Paul Katz, Seymour Lipkin, Robert McDonald, Itzhak Perlman, Arnold Steinhardt, Roger Tapping, Donald Weilerstein, as well as members of the Borromeo, Brentano, Shanghai and Takacs Quartets. Jeremías made his first solo appearances at the age of 10 with the Córdoba Youth Orchestra with which he toured several halls in Argentina. In 2009, he was invited to play at the inaugural concert of the “Por los Caminos del Vino” Festival, and in the inaugural concert of the 2010 Young Concert Series at Femusc Festival in Brazil where he met Miriam Fried, who encouraged him to study with her at the New England Conservatory where he received his Bachelor of Music with academic honors. While at NEC he has been one of the winners at the NEC Bales 2012 Instrument Competition. He has performed at Jordan Hall in multiple occasions with his quartet and with the New England Conservatory Philharmonia, as well as performances at the Music for Food program, dedicated to raise funds for those in need in the Greater Boston area. Jeremías obtained his Master of Music from the Juilliard School, where he studied with Sylvia Rosenberg and Ronald Copes. While in New York, he has performed with the Juilliard Orchestra in several occasions at the Alice Tully Hall in Lincoln Center. He recently obtained a Professional Studies Certificate from the Manhattan School of Music where he studied with, Glenn Dicterow (former concertmaster of the New York Philharmonic), Lisa Kim, and Sylvia Rosenberg. Jeremías started playing the violin at the age of 3 in his hometown of Córdoba, Argentina where he studied with Fabricio Valvasori. When he turned 14 years of age, he started to study with Fernando Hasaj. In order to do so, Jeremías had to travel 10 hours each way to Buenos Aires by himself for lessons every two weeks. This commitment to his musical education, however, earned him an unacceptable number of absences from his local school, leading him to study intensively and pass the required exams in 14 subjects, graduating with a high school diploma at 15. Jeremías is a recipient of the 2011, 2012 and 2013 “Fondo de Becas”, 2016 Teresa Gruneisen scholarships from the Argentine Mozarteum, the Ruth Katzman Scholarship, the Luria Foundation Scholarship, and the Mercantil Commercebank Scholarship.